Have you ever wanted to super-organize your child’s plethora of school papers? Report cards…certificates…achievements…artwork…and the list goes on. What parent doesn’t want to be organized and have a place to store all those precious memories? Not to mention have a way to remember years later who they had as their Grade Two teacher? (I certainly don’t remember mine!) I had a super-mom contact me to create labels so she could store all of her sweet kiddos’ mementos in a special file she created for each of her two children. I also created name labels (not shown) so the boxes for each of them could be separate. 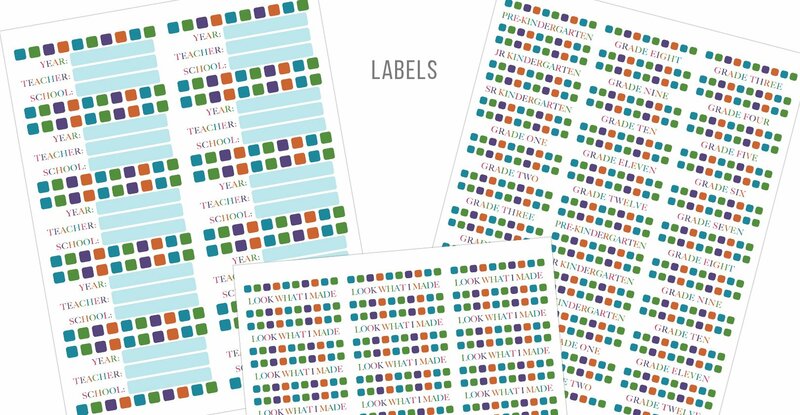 These are only $5 per sheet of labels.